We have been providing high quality rigid kitchens for over 20 years. 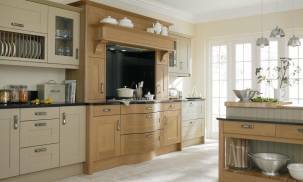 We are widely recognised for supplying Second Nature kitchens, PWS kitchens, Burbidge kitchens, Multiwood kitchens and Kitchen Stori kitchens. At our showroom we have a wide display including gloss kitchens, painted kitchens and shaker kitchens as well as many others. 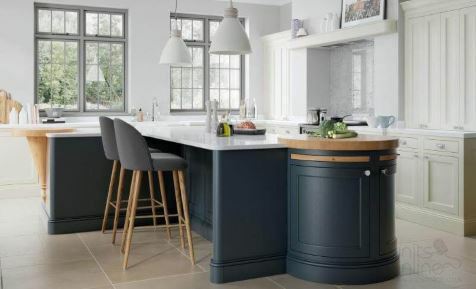 Our kitchen factory and kitchen showroom, which showcases the emerging styles and designs in kitchens, is located just outside of Taunton, South West England. We now supply top quality rigid DIY kitchens online at the lowest cost, saving you £000's. This enables you to obtain a quality brand new rigid DIY kitchen units at flat pack cheap kitchen unit prices and at a price lower than the High Street. We can help you save £0,000's on quality kitchens! With the largest choice of kitchens available online we're certain we have a design and style which meets your requirements. We supply only kitchens and have the greatest choice of kitchen units online. You will find over 700 kitchens, over 1,500 kitchen units not to mention over 20 colours of kitchen cabinets to coordinate your new kitchen style. We can even offer a colour matching option to meet any colour you require. Furthermore, we provide you with the capability to purchase your kitchen units completely online. There's no choosing your kitchen accompanied by a salesperson visit. We concentrate on the supply only of the kitchen units. Simply decide on your kitchen units, submit the order and we'll manufacture and aim to deliver, all within 2 weeks**. Read our compare kitchen prices page and you'll see just how much cheaper our kitchens are compared to the High Street. Units Online prices are lower as we manufacture all kitchen units in our factory. The prices for kitchen units include doors, legs, hinges and hanging brackets (except carcase only). All prices on the website are competitive and we ensure there are no surprises at checkout. Your new kitchen units will be manufactured to your unique order within our factory, not sub-contracted out to another company. 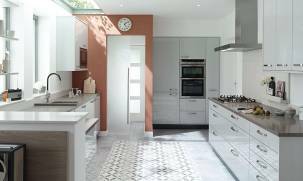 Each kitchen carcase is supplied rigid including the fitting of doors and drawers, unlike many other DIY kitchen suppliers. This is included in the prices on our website. And remember there are no hidden extras with our prices! We are happy to share our years of experience supplying kitchens. If you would prefer us to quote for your new kitchen rather than selecting online then please contact us. On receipt of your kitchen requirements we'll quote you directly with a price. We're sure we will surprise you with our low prices. Across the our burbidge range of kitchens we now offer 25 painted colours. This is a new colour palette which feaures new colours of Baltic Green and Purrsian Blue. This full painted colour palette is available across all our Burbidge painted ranges. This includes the Simply Burbidge ranges and inframe and true handleless. Why buy from Units Online? A cheap DIY kitchen unit does not mean you have to reduce quality. Here at Units Online we manufacture our kitchen units in house. This ensures we are able to provide you with a showroom quality kitchen at prices lower than the DIY competition. Working close to suppliers such as Second Nature kitchens, Burbidge and others we are able to offer low prices. Check our kitchen price comparison page. You'll be surprised at our cheap kitchen unit prices, yet still maintaining the highest quality. And remember we are never knowingly undersold. Our kitchen cabinets are manufactured in the UK at our factory unique to each order. This ensures we are able to supply quality kitchen units. All kitchens units are delivered ready assembled. This means we supply rigid kitchen carcases with doors and drawers fitted making installation of your kitchen easier. Soft close hinges, essential for any quality kitchen, and drawer runners are standard and are included within the prices on the website. We have our own dedicated in-house delivery team who will ensure your DIY kitchen is safely delivered from our factory to your chosen delivery address at a pre-arranged time. At Units Online we love providing quality kitchens to customers, and have been doing so for nearly 20 years. We have a team of dedicated staff from the factory, delivery, office and customer assistants, who can guide you through the purchase of your new DIY kitchen units. Customer satisfaction from initial contact through to delivery and installation is very important to us. We are happy to help you each step of the way with any questions you have. You can read feedback from some our customers and view pictures of their finished kitchens on our testimonials page. To assist with the planning of your kitchen we have created a series of guides. Theses guides are below and include videos covering the steps required for fitting a new kitchen. In addition there are a number of videos which demonstrate the pullout and storage solutions we have on offer. These will demonstrate to you how these work and intergrate with kitchen units. 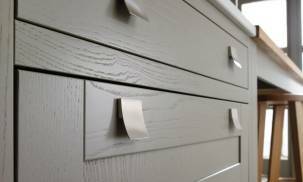 * Free planning service is first charged at £120 which is refunded on kitchen orders over £2500 ** Painted, some veneers and special order items require a longer delivery time.